British-style pop rock songs grounded in Pinoy sensibilities result in The Haneps, a pop rock outfit taking off from music of British music icons (among others: The Beatles, The Kinks, Cream, The Who, Radiohead, Blur, Coldplay, Tears for Fears, and Morrisey), and Filipino acts such as The Eraserheads, as well as their own contemporaries. The result is a happy union of Brit-pop/Brit-rock and Pinoy Rock that’s a beautifully inconsistent garage sound. The result is “brip rock“, a diverse range of catchy tunes—experimental, yet always fun; sounds that are distinctive and memorable at the same time. Think of 60s-style psychedelic rock mixed with 90’s alternative and straight-up rock n’ roll and you’ll get the idea. Listening to music from The Haneps is like taking a colorful trip inside the many pictures of a photo album–-surreal yet curiously familiar. The Haneps have been gigging in top underground venues in Metro Manila such as Cafe Saguijo, 6 Underground, Club Dredd, Mag:Net Cafe, Al’s Bar, Purple Haze, Gweilo’s, Peligro, Kolumn, Vida de Malate, and Freedom Bar, among others. The band is proud to have once called some of these places “home”. 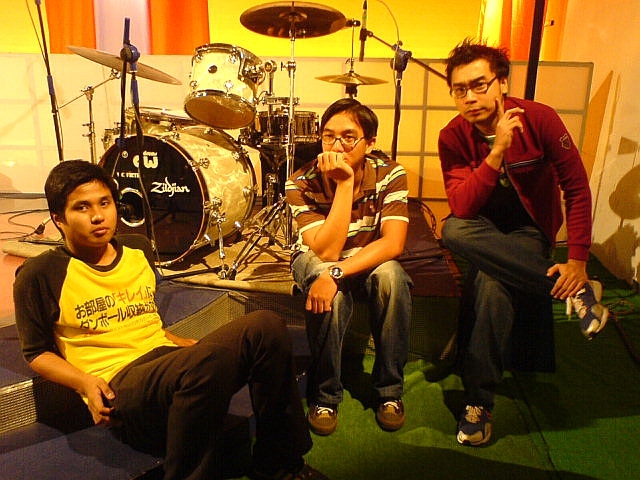 The Haneps launched Han-EP, a 4-song EP last December 9, 2006. Their first full-length album, Day View, was released on Aug 1, 2010. The Haneps are these guys.